Use of SFL's online content by teachers, students, and families has grown steadily over the past fifteen years. 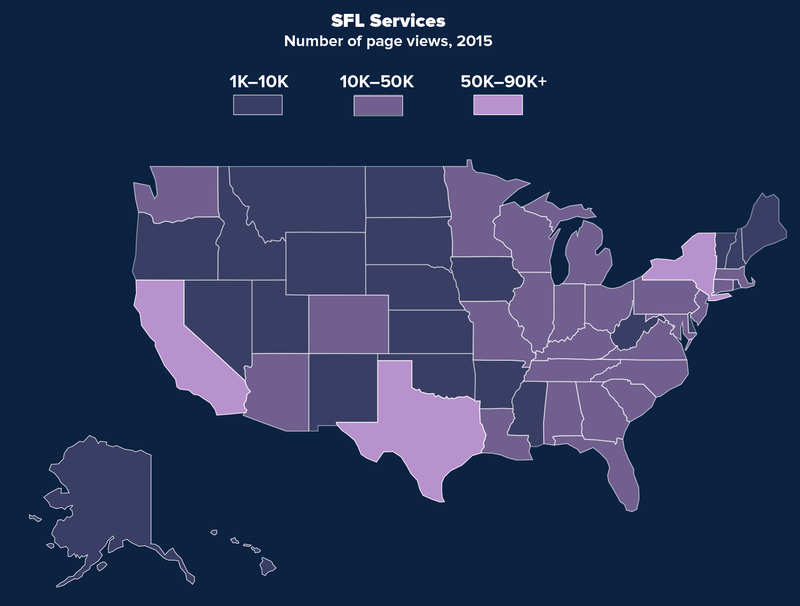 In 2015, more than 1.2 million visitors viewed more than 6 million pages on SFL sites. The map shows the distribution of the 73 percent of those users who logged in from the U.S.A. In 2016, more than 2,000 attendees participated in SFL’s online professional learning webinars. 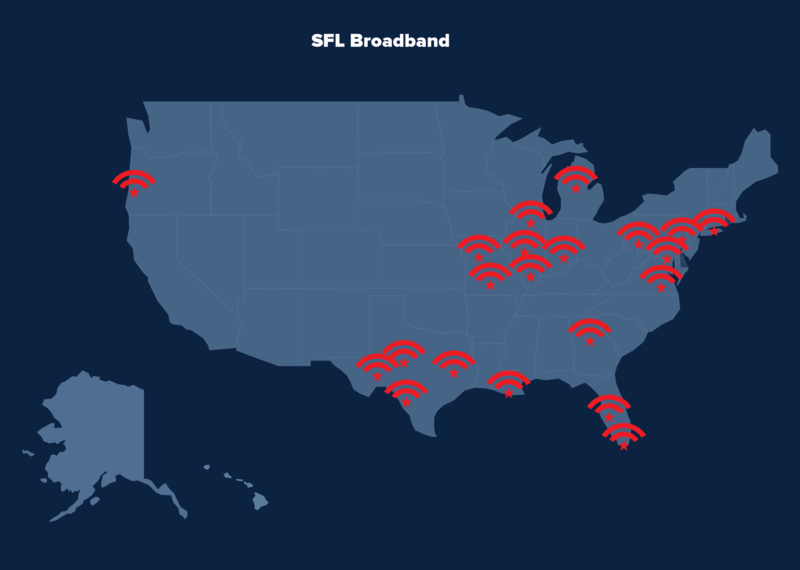 And in the 22 local communities where we hold EBS licenses, SFL Broadband is uniquely positioned to offer targeted solutions to local challenges like meeting the needs of special needs students or itinerant teachers. © 2019 The Source For Learning, Inc.